Twisted Electrons move on from acid and chip synths to drum machines. And the deton8, for around three hundred bucks, packs a ton of personality and sound possibility in a cute, playable package. Twisted Electrons made a name for themselves in fun little boxes and boards packed with 8-bit, chip music, and acid sounds. Those instruments all stand out for lots of sequencing features and hands-on playable options. So a drum machine is of course a natural next step. 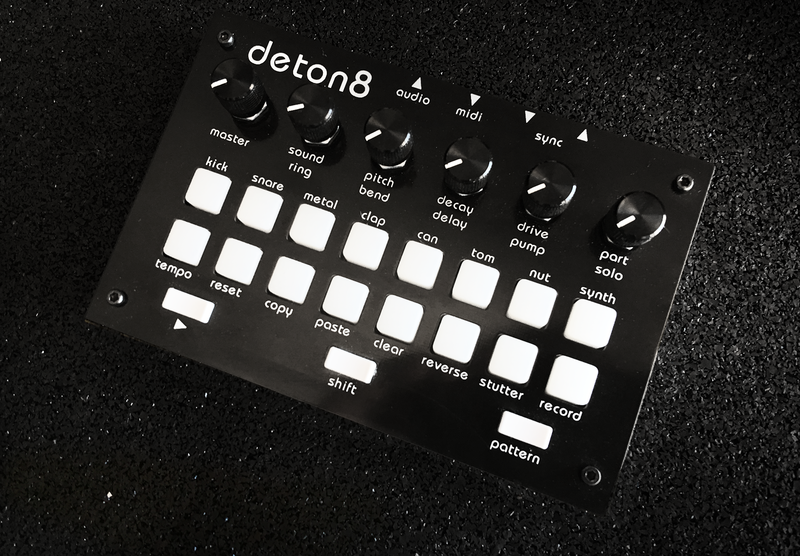 But what a next step the deton8 is. Mixing samples and synthesis, 8-bit sounds and wavetable synth, custom kits, and a ton of control and performance, it promises to be one of the more fun packages we may see this year. There’s even a simple NES-style synth in there, so even though a compact bassline synth would be an obvious combination with this, you could even do a lot with just the voices in this hardware. For live performance, what’s especially appealing is the sound knob, which has different characteristics for different sounds. That’s a lot more fun than menu diving to change sounds, or being limited to tweaking pitch and duration alone. Stutter, reverse, retriggering, granular algorithms – there’s a bunch there to play and record. I imagine you might make this a primary instrument, or some icing on your existing drum machine … that you could use it for relatively subtle stuff, or go totally nuts. And it’s eminently affordable. The deton8 is 255 EUR (that’s under US$300), or around 300EUR with VAT. Here’s the full list of features. The big development was, at the last minute, Alex at Twisted Electrons responded to overwhelming user requests to load your own samples. So that means in addition to multiple kits included in the box, you’ll be able to use a software editor to slice up and upload your own samples, as both loops and 1-shots – see screenshot. 8 Voices (Kick, Snare, Metal (hats), Clap, Can (tinny sounds), Tom, Nut (woody sounds), SYNTH (NES inspired triangle wavetable synthesizer, with arp that can be shaped to a square). It sounds like we should see a review unit in April. See you then.